"From now on I'm Alan of Trebond, the younger twin. I'll be a knight." And so young Alanna of Trebond begins the journey to knighthood. 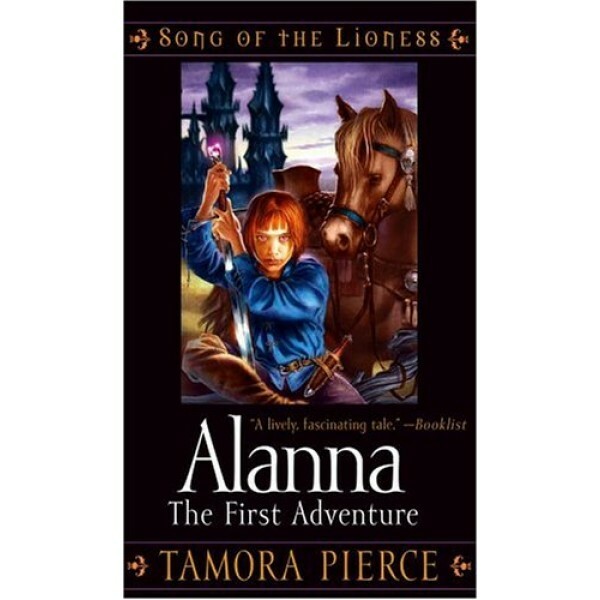 Though a girl, Alanna has always craved the adventure and daring allowed only for boys; her twin brother, Thom, yearns to learn the art of magic. So one day they decide to switch places. 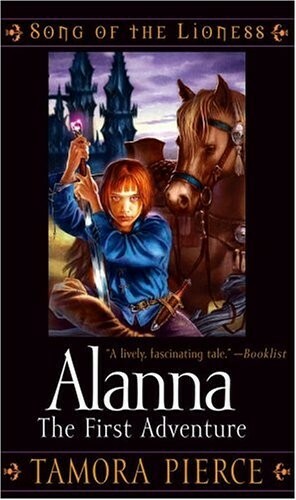 Thom heads for the convent to learn magic while Alanna, pretending to be a boy, leaves for the castle of King Roald to begin her training as a page. But the road to knighthood is not an easy one. As Alanna masters the skills necessary for battle, she must also learn to control her heart and to discern her enemies from her allies. This is the first book in the Song of the Lioness Quartet; the series continues in In the Hand of the Goddess.